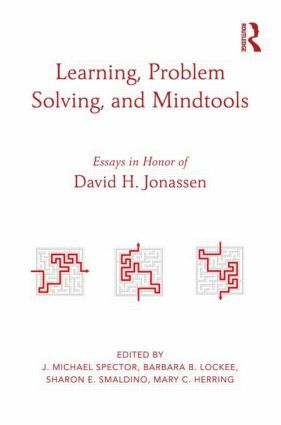 Learning, Problem Solving, and Mindtools is inspired by the substantial body of learning research by David H. Jonassen in the areas of mind tools and problem solving. The focus of the volume is on educational technology, especially with regard to how new technologies have facilitated and supported problem solving and critical thinking. Each chapter focuses on a particular aspect of learning with technology and elaborates the implications for the design and implementation of learning environments and activities aimed at improving the conceptualization of problems, reasoning and higher-order thinking, and solving challenging problems. This collection of scholarly essays provides a highly engaging treatment of using tools and technologies to improve problem solving; multiple perspectives on integrating educational technology to support learning in complex and challenging problem solving domains; guidance for the design of instruction to support problem solving; a systemic account of the relationships between mental models, instructional models, and assessment models; and a look into the future of educational technology research and practice. J. Michael Spector is Professor and Chair of the Department of Learning Technologies at the University of North Texas, USA. Barbara B. Lockee is Professor of Education and Associate Director of the School of Education at Virginia Polytechnic and State University, USA. Sharon E. Smaldino is the L.D. and Ruth Morgridge Endowed Chair for Teacher Education at Northern Illinois University, USA. Mary C. Herring is the Associate Dean of the College of Education at the University of Northern Iowa, USA. All four co-editors of this volume are Past Presidents of the Association of Educational Communications and Technology (AECT; see http://www.aect.org), which has supported and facilitated this effort.